I began fishing the Little Red River over 25 years ago when I was introduced to fly fishing for trout. I had fly fished for bream with my dad as a young boy and then replaced this with bass fishing. I was reintroduced to fly fishing by an invitation to fish for trout from a friend with whom I still fish on the Little Red. Since that time, I developed a passion for the sport which led to buying a home on the Little Red, retiring from 40 years in the restaurant business and beginning a new "retirement career" as a fly fishing guide. Since I was introduced to the Little Red River, I have spent all my available time learning this river and truly consider it my "home water". I also enjoy fishing and guiding on the White River and Norfork River. Being a guide has enabled me to continue to enjoy the outdoors and meet people from all over the country. Helping them participate in this sport is a great way to spend my retirement. I also take pleasure in teaching both young and old the joy of fly fishing. My clients range in age from five to eighty-five years. I have found fly fishing to be my most rewarding and relaxing sport from a lifetime of hunting, fishing and tennis. I have now traded my shotgun and racquet for another fly rod or two and enjoy fly fishing year round. I am also involved with Trout Unlimited as past President of Little Red River Action Team Chapter 722. This, along with being a catch and release guide, has brought me satisfaction knowing I can enjoy a great natural resource and help protect it for future generations. 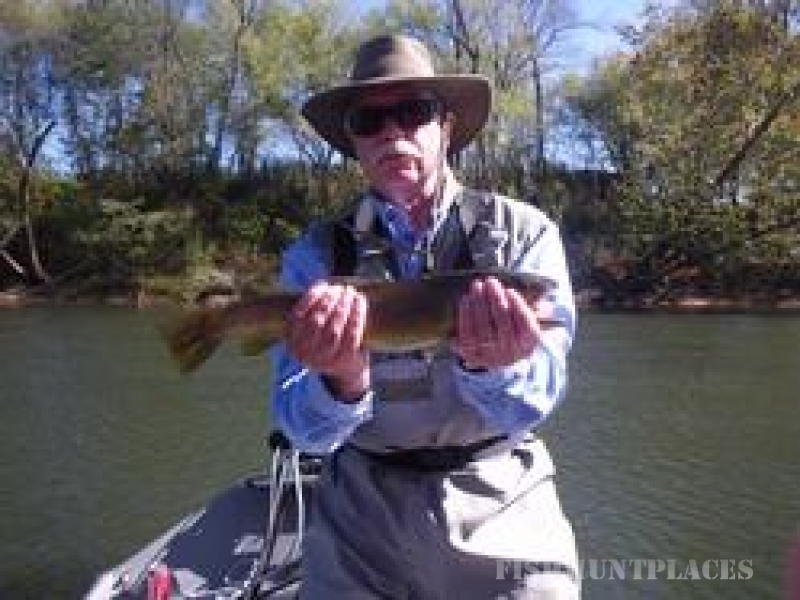 I am committed to making my client’s day on the river the most enjoyable fishing experience I can provide. I look forward to meeting you and showing you my "home water".